UPDATE: Winner of Giveaway was announced in the comments! I did it! I had the pleasure of visiting the Silos and Magnolia Table! Some of you may have been following along on instagram or facebook but I wanted to make an official post with photos and about my adventure! It truly was amazing and I am so thankful that I was able to make the trip to Texas. If you don't know what the Silos are we can't be friends. Okay...I am TOTALLY kidding but you might be living under a rock. Again KIDDING. But just in case...Visit HGTV and watch an episode of Fixer Upper and you will be in the club! Ha! I am slightly obsessed with the show and of course the farmhouse style. But honestly I wanted to go and be inspired. Waco was really cute. It is a very small college town with lots of character. Our first night there we walked around their downtown area and it was really peaceful. The evening was warm and the downtown was pretty much a ghost town (which is a far cry from what we are used to here in Portland). HOLY CRUD! However...the little text they sent had a link so I could check the wait regularly (like literally every 5 minutes). While we waited we headed into the outdoor area and had a Lavender Latte and enjoyed the sun. The restaurant is ADORABLE. Every detail was perfect all the way down to the menus. And the biscuits? They were heaven and made me feel pretty good about the ones I made from her recipe book. Here is the iPhone pics I snagged from our Breakfast at Magnolia Table. 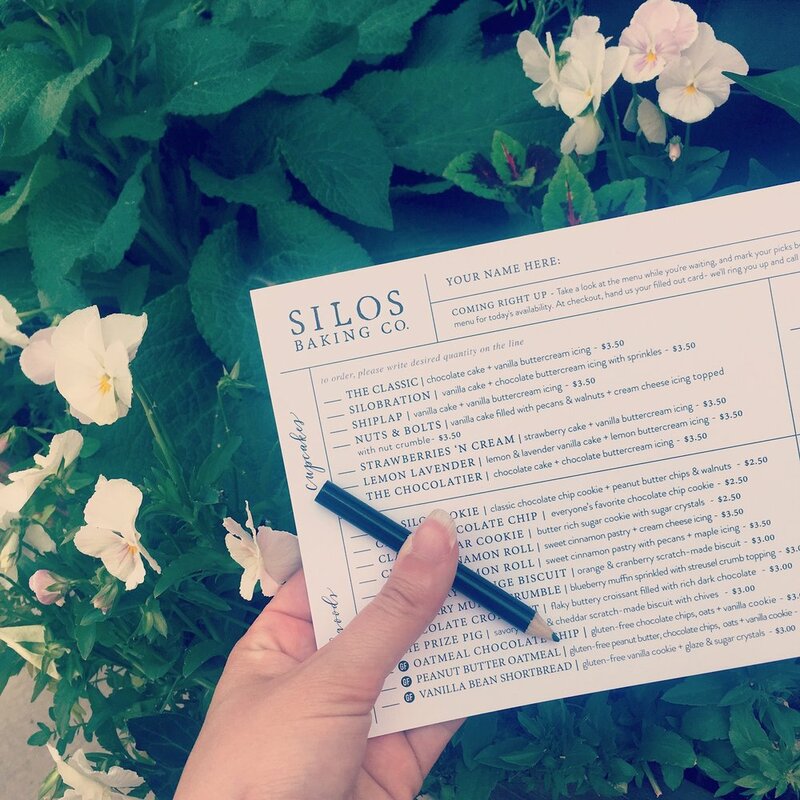 Once our bellies were full we headed to the Silos! It was everything I imagined and more. Every where I looked was inspiring. 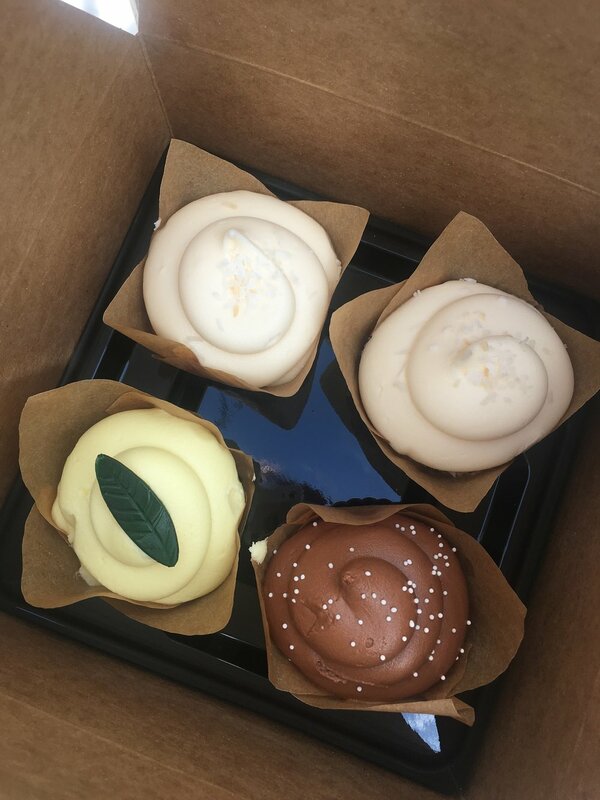 The Magnolia Market was the main feature BUT there is the bakery (to DIE for cupcakes...put any cupcake I have EVER made to shame), Food Trucks, Garden Area and the main pavilion with games and picnic tables. We sat and ate a snow cone in the pavilion and took in the scene around us. All I could think was how proud Joanna & Chip must be. The vision they had for this place was unfolding in front of me and was amazing. Kids and families were playing, visiting, enjoying the day. It wasn't just about shopping (although, dont worry....that was a BIG highlight for me! ha!) but it was about the experience. And honestly. They freaking NAILED it. My husband told me it was like "Disneyland for middle aged women". While he is kinda right...but in all honesty it was so much more than that. It was its own kind of magic. Amazing right? I am guessing either you LOVE this post or you think I am completely crazy (okay there may be a few of you who think both!). Before I wrap this up I want to say thank you to my husband for taking care of everything at home so I could experience this. It was perfect timing with the kitchen remodel. I also want to thank my wonderful, awesome friend, Michele who went with me on this Bucket List trip! I am so thankful we made this happen! Loved. Every. Minute (even closing down the bar! ha! Oh that's a story for another day! LOL). So...Did you make it to the end? If so, I love you! AND I am going to GIVEAWAY some goodies I purchased at the market! GIVEAWAY includes everything pictured: Wooden postcard, wood recipe card, tea towel and seed bomb kit. I will mail it to the winner if they are not local. AND ANYONE CAN ENTER! I promise. Yes that means you mom! I figure most who read my blog are friends and family (and my wonderful clients) so I want you all to have a chance to win some Magnolia Love. To enter...Just leave a comment on this post. You can just say HI! Or you are jealous! Or ask a question! Anything! I will give you a bonus entry if you share the post on facebook! Giveaway ends May 22 at midnight. GOOD LUCK!